TDIndustries has extensive experience with municipal, state, federal and military contracts. Rely on us to be stewards of your project budget through value engineering and other processes. We stay abreast of public policies, best practices and regulations. In many cases, this also means constructing environments with minimal impact to the environment. Our LEED-accredited professionals will work with your team to meet those standards and criteria. TD delivers uncompromised quality whether it’s new construction, renovation or the expansion of government facilities. Let us build you a sustainable, innovative system backed by knowledgeable project members and the transparency of pricing. We have built a strong reputation as leaders in facility operations and maintenance. For years, we have successfully managed large facilities, including libraries, community theaters, convention centers, public airports and government offices. 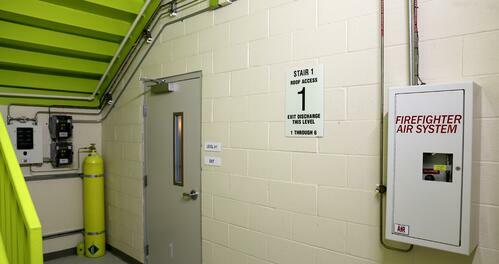 Oftentimes, aging facilities have mechanical, plumbing or electrical systems that require specialized attention. Our licensed, professional technicians have experience with all manufacturers and brands. In addition to emergency service, they can perform regular inspections according to local, regional and national regulations. TD works with cities and states to provide total mechanical services and energy solutions. With offices across the Southwest, we are able to support large or more challenging projects, ensuring that all of your needs are met. 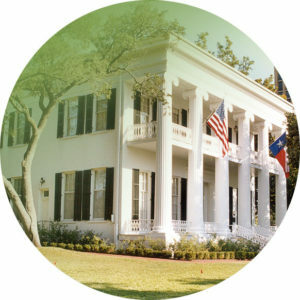 As an advocate for your best interests, TD helps manage the design, cost and schedule for an optimal end result. Clients like the City of Scottsdale, Texas Facilities Commission and Houston First Corporation trust TD with their facilities. From the renovation of a barracks building to getting a mechanical system up-and-running, we accommodate a wide variety of life-cycle needs for military bases. Security, reliability and responsiveness are vital to the operation of those government-owned or operated complexes. Trust that we can mobilize quickly to deliver emergency service around-the-clock for mission critical systems like HVAC or plumbing. 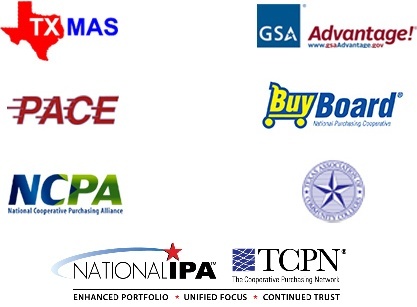 We are an active participant in cooperative purchasing associations like TXMAS, GSA Advantage, National IPA/TCPN, BuyBoard, PACE, and TACC. TD offers our customers fair, transparent pricing through these cooperative networks, which affect the bottom line and scheduling for your construction and service projects.